Hand Rolled Cigarettes OR regular factory made? Firstly - Cigarette smoking is seriously injurious to health – yours and the ones around you. 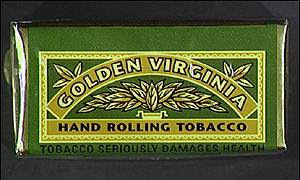 >> Are hand-rolled cigarettes (HRC) less harmful? >> Are HRC better in taste? >> Will trying to do this reduce or attenuate my smoking habits? Although I must say, it does reduce your smoking to some extent — for the obvious reason that one needs to put in some efforts before he/she can light that stick. >> Does it make you feel better? Different? – yes. You see it takes time to roll a cigarette and with time you get better at it (not something that one may be proud of, but then better to be better at it if you are at it). Patience is another virtue the art of rolling cultivates — and I have a desperate void for the virtue. If you are a smoker who has been smoking cigarettes, do try rolling your own cigarettes and let me know if you need some help or your experience about it. This entry was posted in Uncategorized and tagged hand rolled cigarettes, rolling, Smoking, tobacco on March 2, 2010 by admin.